Paisley Tillery is the drummer for a country rock band. If they can make it to the stage at the Texapalooza music fest, then Paisley will be closer to her dream of a career in music and a ticket out of her small Texas town. Drumming and music are what Paisley has always wanted. Until the band gets a new lead singer, the boy from Paradise, Texas. With Paradise in her life, what Paisley wants, and what she needs, complicate her dreams coming true. I read PARADISE in pretty much one day. This is the kind of book that is real, feel good, no non-sense, down to earth with real life problems and feelings and everyday life type stuff happening. I LOVED it! Paisley is a drummer for a country rock band in a small Texas town. Music is not a dream for Paisley, it is her passion, it's her life, her destiny. PARADISE is about how teen sisters love one another and will do anything for the other. PARADISE is about family. It is about the highschool jock and the career he had... It is about the beautiful girl.. the girl he married.. and the two daughters they had. It is about family. It is about friendship. It is about love. It is about freedom and finding yourself. It is about learning.. Waiting On Wednesday is a weekly meme, hosted by Jill at Breaking the Spine, that spotlights upcoming releases that we seriously can’t wait for. If you know anything about me, then you know I'm a HUGE Andrew Smith fan. Kinda close to stalkerish - even. 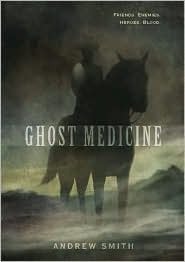 I have read everything that Andrew Smith has published and absolutely adore every novel. 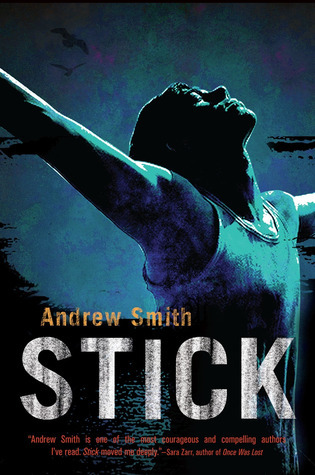 The fourth novel to be published by Andrew Smith is STICK and will be out this fall. Let's check it out, shall we..
Stark McClellan (“Stick”) hears the world in a different way. He is surrounded by cruelty and ugliness, but holds on to a powerful sense of wonder, faith, and love for his best friend, Emily, and the most important person in Stick’s world -- his older brother, Bosten, who happens to be gay. 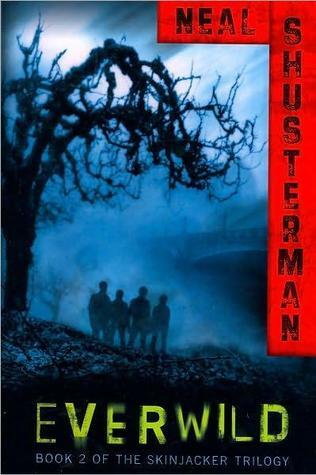 When the boys’ father throws Bosten out of their home, Stick steals a car and takes off on a three-state odyssey to find and rescue him. Pre-Order Stick via Amazon HERE! Don’t forget to leave me a link in the comments and tell me what goodies you’re Waiting on this Wednesday! Hey while you’re at it, why don’tcha be a pal and follow me while you’re here, I’ll follow back. Pinkie Promise. As always, I hope you have a wonderful week and thank you for stopping by. Happy Reading! ﻿ "Andrew Smith is one of the most courageous and compelling authors I've read. Stick moved me deeply." ﻿﻿﻿﻿﻿﻿﻿﻿If any of y'all would like to check out Andrew's blog, it's way cool, like cool enough to go back almost a couple times a week even! So I will put the links up for convenience. I'm pretty cool like that, too. Ha! There are four other pretty Awesome blogs that are involved with Stick's exclusive cover release. Make sure you go by and check them out also. While you're there, why don'tcha be a darling and follow their blog too. Thanks. Molto kisses lovies! Waiting On Wednesday is a weekly meme, hosted by Jill at Breaking the Spine, that spotlights upcoming releases that we seriously can’t wait for. I have been waiting for this baby for a long time. Not too much longer and I'll have the complete trilogy to read all at once! Woot! While Mary lies in a glass coffin aboard a ghost train heading west, her minions are awaiting her re-awakening by bringing lots of new souls into Everlost to serve her. Meanwhile Jackin’ Jill has met Jix, a fur-jacker—a skin jacker who can take over the bodies of animals, most notably jaguars. Jix serves a Mayan god who collects Everlost coins, and has his own agenda. 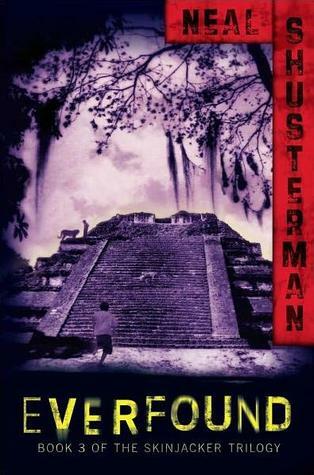 In the concluding volume of The Skinjacker Trilogy, Neal Shusterman reveals new sides of the characters of Everlost, who are pitted against each other in a battle that may destroy all life on Earth. 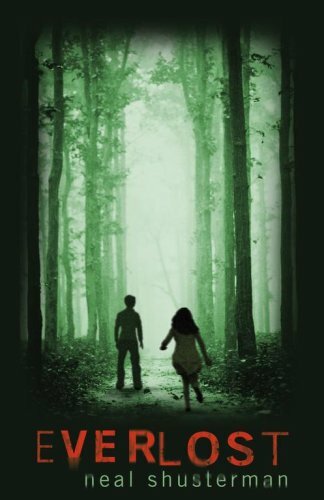 Pre-Order Everfound (The Skinjacker Trilogy #3) HERE! Congratulations to Linda! I've sent an email already for confirmation. Thank you very much to everyone else who participated, there will be more goodies soon! And As always, I hope you have a wonderful week and thank you for stopping by. Happy Reading! 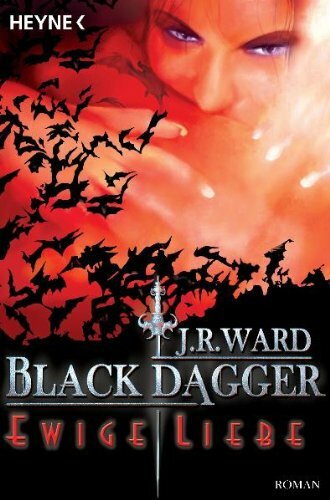 In the shadows of the night in Caldwell, New York, a deadly turf war rages between vampires and their slayers. There exists a secret band of brothers like no other-six vampire warriors, defenders of their race. Of these, Zsadist is the most terrifying member of the Black Dagger Brotherhood. A former blood slave, the vampire Zsadist still bears the scars from a past filled with suffering and humiliation. Renowned for his unquenchable fury and sinister deeds, he is a savage feared by humans and vampires alike. Anger is his only companion and terror his only passion-until he rescues a beautiful female from the evil Lessening Society. Bella is instantly entranced by the seething power Zsadist possesses. But even as their desire for each other begins to overtake them, Zsadist's thirst for vengeance against Bella's tormentors drives him to the brink of madness. Now Bella must help her lover overcome the wounds of his tortured past and find a future with her. 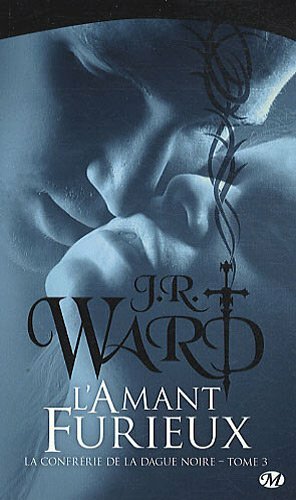 The third book in the Black Dagger Brotherhood series, Lover Awakened is the story of Zsadist and Bella. Which somewhat started in the previous book, Lover Eternal, when Bella, a civilian vampire, was abducted by lessers. Zsadist is the brother whom everyone is terrified of, and no one questions his reputation, not even his twin brother Phury. Zsadist is considered a lost cause by everyone except Bella, as he is scarred inside and out by his time spent as a blood slave for more than a century. Even Zsadist considers himself unworthy, with nothing to offer but tortured memories. Zsadist is obsessed with finding Bella. He feels as if he owes it to her, meanwhile he is keeping this from Wrath and all of the other Brothers. He is almost out of hope in locating her, when another civilian vampire escapes from the lessers' and reports to the Brotherhood that Bella is still alive. At that time Zsadist, along with the other brothers, plan a strategy attack to save Bella. After several attempts he finds her being held captive and in an awful condition. Finding her like this fills Zsadist with extreme amounts of rage and brings back unwanted memories. He thinks of himself as dirty and unworthy of any female of worth, especially Bella. However, could Bella be the one to actually save Zsadist from his inferior thinking and inner pain and suffering? This story is proof at just how much love can change, transform and redeem a person, before meeting Bella, Zsadist didn't think he was worthy of love or capable of compassion or kindness and his deeply scarred face was just a reminder of the daily hell he lived and the horrors of it. Bella looks past the scars and is not scared of him or repulsed by him and that is something that Zsadist is not used to. By loving Bella and her loving him in return, it changes him in many profound ways. When Zsadist and Bella are finally together something beautiful begins to transpire. Zsadist begins to transform in several ways. He allows himself to very slowly go through a healing process that is very painful, emotional and agonizing. All the while, Bella accepting Zsadist for who he is.. his scars, toughness and darkness, she is choosing him completely and wholly...telling him and showing him that he is a Male of Worth and is beautiful to her. In some of the most emotionally charged scenes ever written she pursues, he retreats, she pursues, he retreats..until he just can't any longer. The relationship between them is brilliant. There were plenty of times where I cried throughout this book. I felt empathy, compassion, and rage over the past that Zsadist had to endure. This is not a light read. The abuse in Zsadist's past is described in some pretty graphic detail. The love scenes are more emotional than physical, and the Lessers bring about destruction and terror to the Brothers and civilians. This was an amazing book from start to finish. 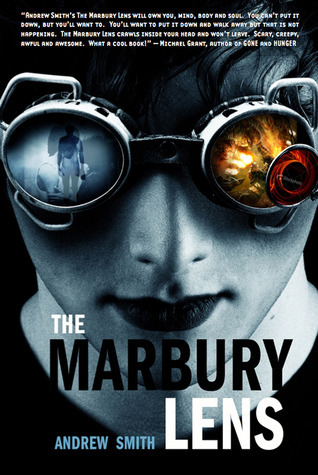 I recommend these books to adults and will continue reading the next one in the series.